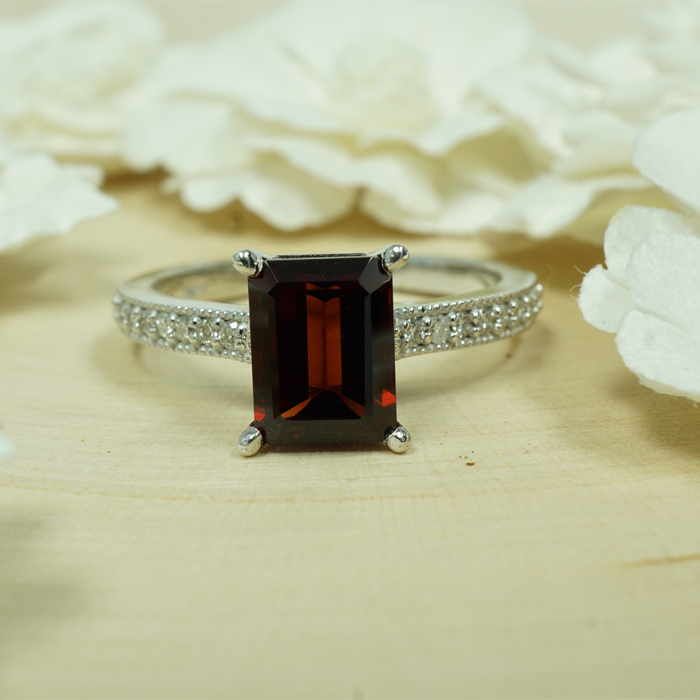 Color: Color is definitely the most important factor to consider when purchasing a ruby. The brightest and most valuable color of red is called “blood red,” or “pigeon’s blood,” which is varies from a vibrant red to a slightly purplish red, and is priced at a much higher premium than others of similar quality. Though, if the color has too much orange or purple in it, it is considered much less valuable. Clarity: It is almost expected that any ruby you encounter will have inclusions in it, as many inclusion-free stones are quite rare. Obvious inclusions that affect the stone’s transparency or brightness, however, can lower its value. Cut: There are multiple factors that affect the cut and proportion of ruby gemstones on the market today. A stone’s shape controls whether or not it can be suitable for specific styles of cuts. While most ruby crystals have a flat, tubular-hexagonal shape, some are more elongated and have more flexibility for different shapes. The most common styles of cut for fashioned gems are oval, cushion, with brilliant-cut crowns of kite-shaped and triangular facets, as well as step-cut pavilions with concentric rows of rectangular or square facets. Round, triangular, emerald-cut, pear and marquise styles are also available, but usually at a much higher price point. Carat: The finest rubies of more than one carat are very rare, but commercial-quality rubies are readily available in a wide range of sizes. The per-carat cost of ruby gemstones can raise dramatically with increased stone size, particularly for better-quality stones.